To Abilene, Taylor County, Crime Stoppers Web Page. 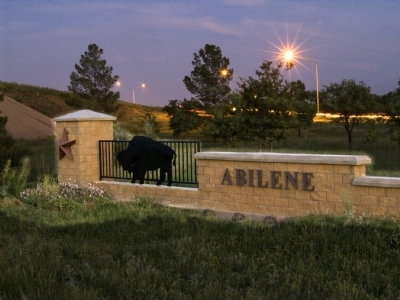 Founded March 1981, Abilene Crime Stoppers, Inc. mission is to carry out a community offensive against crime through law enforcement, the media and citizen involvement, encouraging all citizens to report anonymous information about criminal activities. Offering rewards for information that helps Law Enforcement solve unsolved crimes, and arrest wanted fugitives. 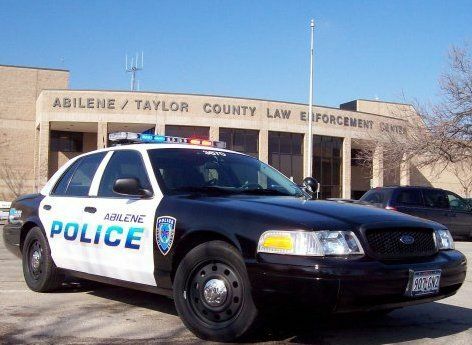 Abilene Crime Stoppers, achieve this goal by maintaining a Crime Stoppers Hotline, 325 676-TIPS, Website www.abilenecrimestoppers.com and free P3Tips App for smart phones. Where anonymous tips can be communicated and received. Abilene Crime Stoppers encourages all members of the community to assist local law enforcement agencies in the fight against crime. Abilene Crime Stoppers provides only three ways to give a tip. Call 676-TIPS(8477) or 1-800-868-8477, also we provide a secure way to Give Web Tips over the Internet, and via your Smart phone. P3 Tips App is a fully featured crime tipping mobile app for your Smart Phone. To get your App visit iTunes Store for your free P3 Tips App. This is for your protection and for use to keep you Anonymous. Email, Facebook, and Instant Messenger are not secure ways to give tip information. if you use anything other than the approved and authorized methods of giving a tip. Using Email, Facebook and Instant messenger you are not anonymous; therefore, will not be eligible for any cash rewards. Web tips or smart phone tips are great ways to give anonymous information to crime stoppers. But when there is urgency in tip information given to crime stoppers, i.e. a wanted person at a known location at the time of the tip. Crime stoppers asks, please consider calling our 24/7 hotline: (325) 676-TIPS (8477). You are still anonymous, and the urgency of your tip information can be communicated to the call taker and then to the appropriate Law Enforcement Agency. Delay of web tips can be due to the time of day the tip was given, or lag time in receiving the tip information via the Internet. This can prevent the tip being acted on in a timely manner. Therefore; calling our hotline can help to ensure a more appropriate response for these types of tips. For any crime in progress, please call 911. not crime stoppers, because by the time we receive the tip, the crime will be over and the perpetrators will be gone. Using the authorized means of providing a tip you will remain anonymous. We only want your information not your name. We encourage citizens in our community to give vital information helpful to law enforcement agencies in their fight against crime. Tipsters will remain anonymous and are eligible to receive a cash reward up to $1000.00 if the information given leads to an arrest and charges filed on the person or persons responsible for any unsolved felony crime. Rewards are only paid out when your tip information actually helps to solve any unsolved felony crime, leading to an arrest and charges filed on the person or persons responsible. Rewards will not be paid out when the information is already known to the investigating agency or investigator. YOUR TIP INFORMATION must play a key role in helping to solve any unsolved felony crime or the capture of a wanted felon. A voluntary civilian Board of Directors with their Executive Director and a police coordinator administer the Crime Stopper program which depends on contributions from the public for operating revenues. Do your part in helping to make your community a safer place to live, work and raise your families.